If there’s anything else I can do, I’m always happy to oblige. We only went to the party to oblige some old friends who asked us to be there. Employers are legally obliged to pay the minimum wage. The law obliges companies to pay decent wages to their employees. 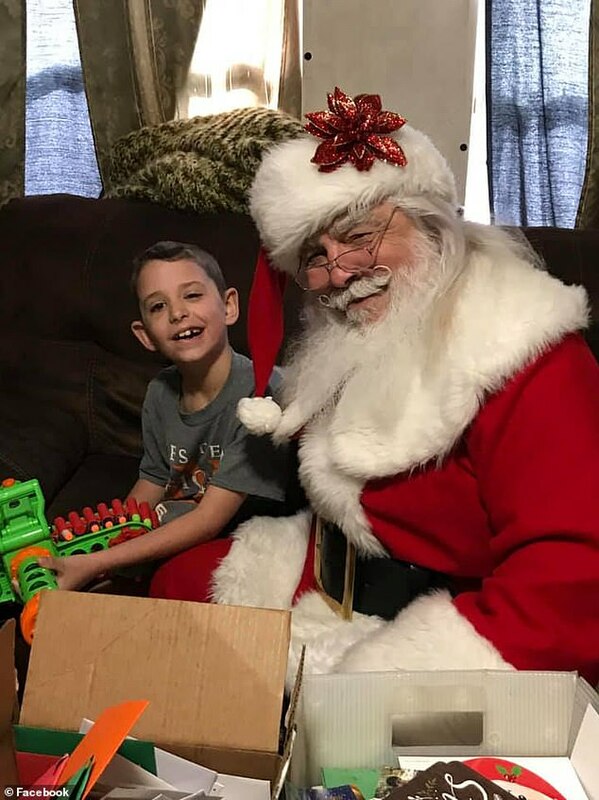 A simple plea to cheer up an eight-year-old boy with terminal cancer turned into an incredible display of holiday spirit that has warmed hearts across the nation. 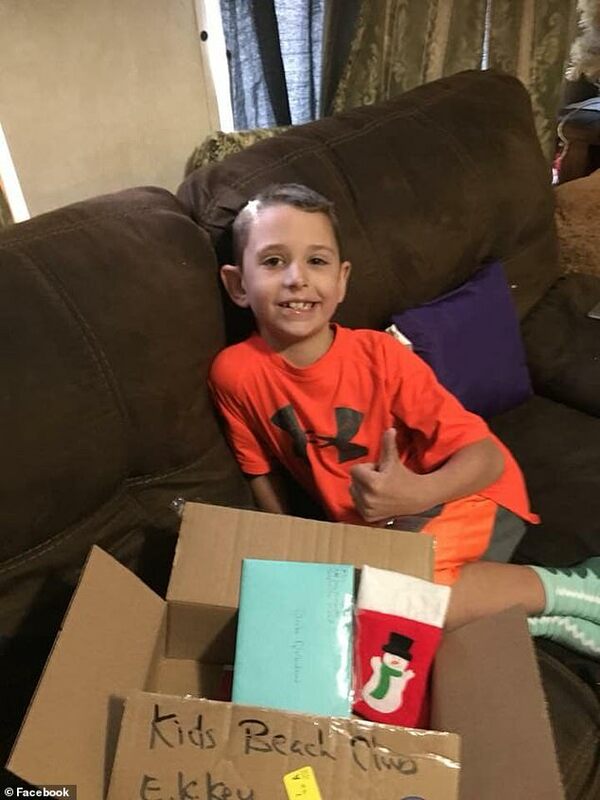 Drake Quibodeaux has received more than 40,000 cards from all over the globe wishing him a Merry Christmas. 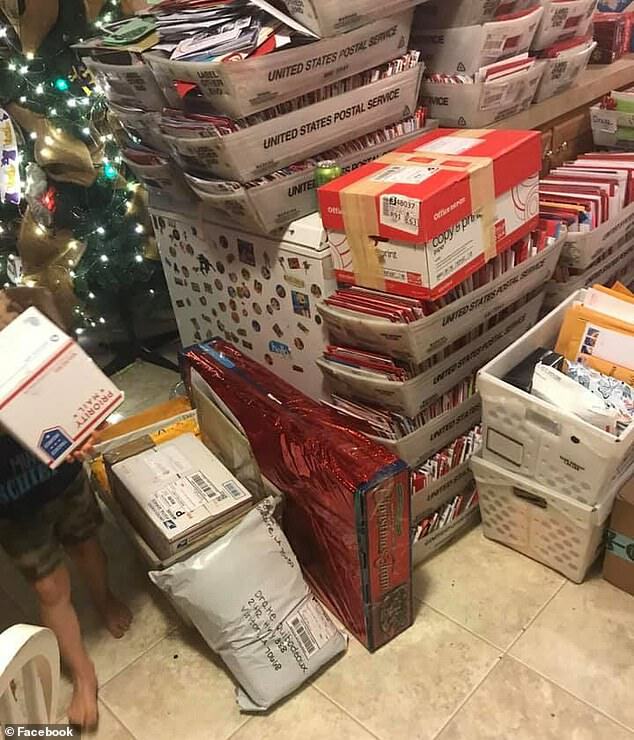 Now his family’s kitchen is stacked sky high with piles of packages and envelopes that continue to grow. Some contain toys, others hold books. And some are simply notes wishing Drake and his family well during a hard time. Business confidence is sky-high at the moment. Problems in the farming industry have sent meat prices sky-high. The price of oil went sky-high when war broke out. Our expectations of him were sky-high. 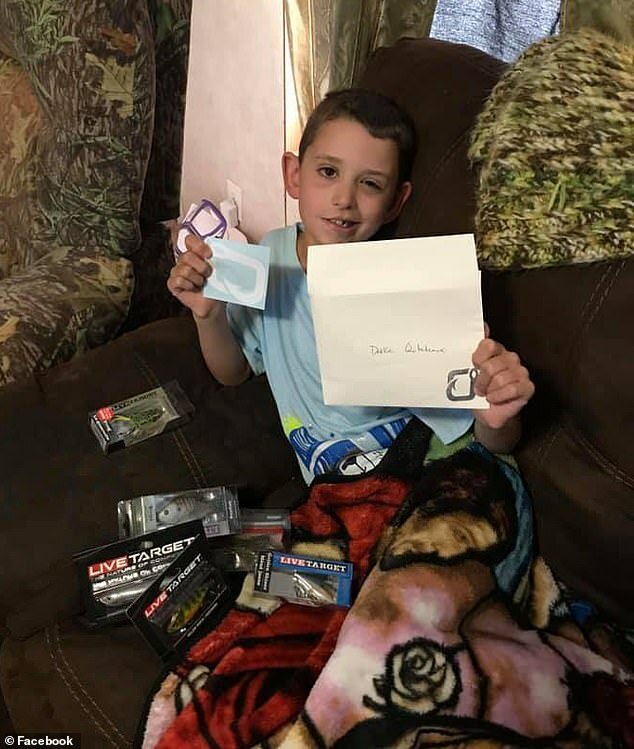 The cards come just weeks after they received the news that Drake’s tumor was growing. Drake was diagnosed with Difuse Intrinsic Pontine Glioma, a highly aggressive tumor found at the base of the brain, earlier this year. Only five percent of children with the tumor survive a year after they’re diagnosed. ‘At the start, they give you nine to 12 months,’ Danielle Quibodeaux, Drake’s mother, told WTHR. 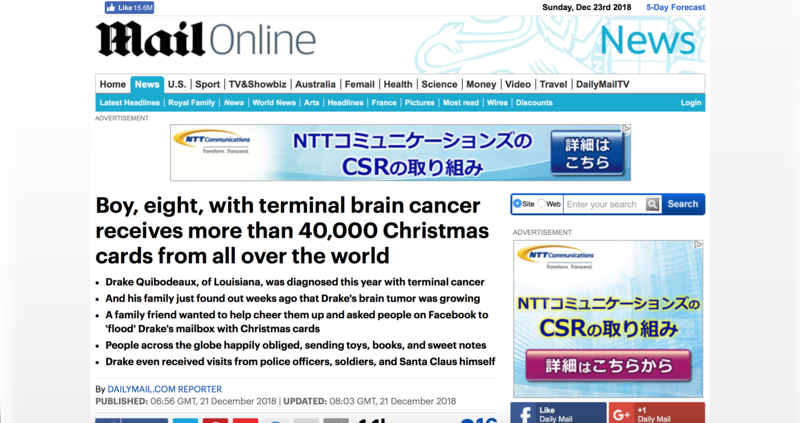 Drake hit the nine-month mark on December 12, making the reality of his situation all the more real. 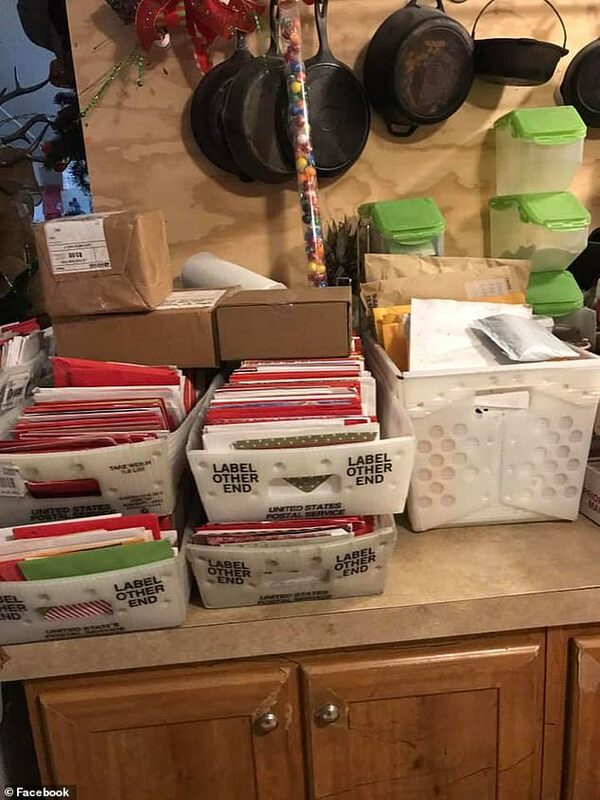 A family friend decided to try and bring some holiday cheer to the Quibodeaux home, and wrote a post on Facebook asking people to ‘flood’ Drake’s mailbox with Christmas cards. 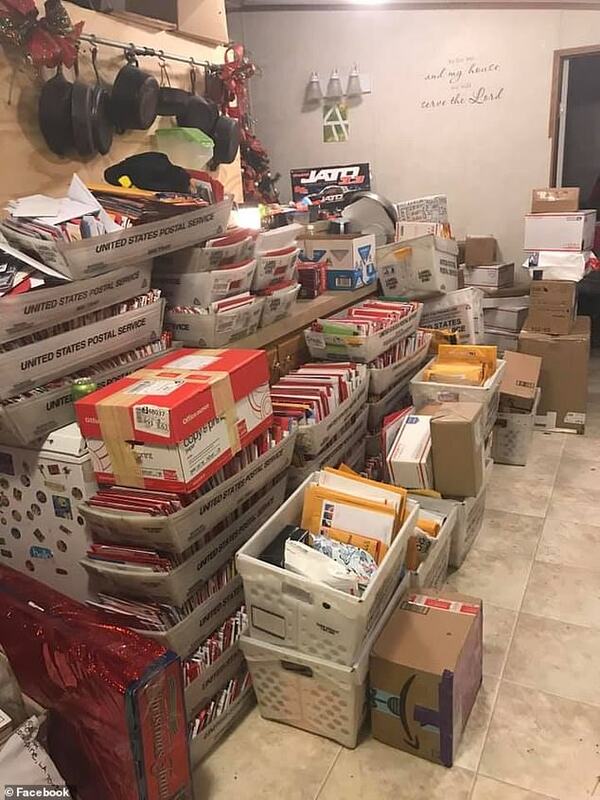 Letters and packages soon started coming in, hundreds at a time, completely shocking Drake and his family. Drake’s goal was 190 cards. Within days, he had far surpassed it. The family received letters from schools. People came by to decorate their house. Drake received visits from police officers, soldiers, and even Santa Claus. 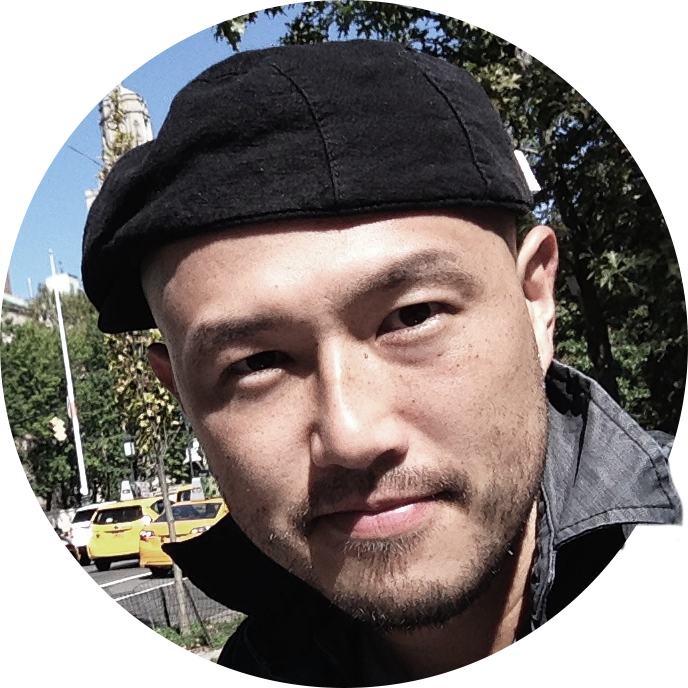 The book’s success has surpassed everyone’s expectations. Our team’s achievements surpass those of teams in earlier years. India’s population now surpasses that of Africa. His time for the 100 metres surpassed the previous world record by one hundredth of a second. She taped a note to the door. There was a notice taped to the door. I’ll come by (the office/your house) one day this week and we can have a chat. Louisiana Lt Governor Billy Nungesser sent a letter naming Drake a true ‘Louisiana Ambassador’. The ending will blow you away. When I heard that song for the first time it just blew me away. She was wearing her top the wrong way round. I thought the older people would be more offended than the young people, but it was the other way round.